Earlier this month, Fate Brewing Company announced that they were changing their name to McFate Brewing Company. Wait…what?! Is this awesome local brewery turning itself into some type of fast food brewery? No, but they ran into a legal snag that forced the name change. In 2012, Fate Brewing Company opened in Arizona. In 2013, someone else opened Fate Brewing Company in Boulder, Colorado. In legalese, the Fate Arizona is called the “senior user” of the name since they opened first and the Fate Colorado is the “junior user.” Despite being the junior user, Fate Colorado sued Fate Arizona for trademark infringement. Easy: Fate Colorado registered the trademark “Fate Brewing Company” with the U.S. Patent and Trademark Office (USPTO). It’s the Burger King situation all over again. By doing business first, Fate Arizona had rights to use “Fate Brewing Company” for beer and restaurant services, but since they didn’t register their trademark with the USPTO, their rights only extended to the geographic area where they did business. When Fate Colorado got their registered trademark, they obtained the exclusive right to use “Fate Brewing Company” for beer and restaurant services everywhere in the U.S. except where Fate Arizona had an established market. Likewise, Fate Arizona couldn’t expand its market beyond its established boundaries without infringing Fate Colorado’s rights. I suspect Fate Colorado sued Fate Arizona for trademark infringement in part because their trademark was granted in 2013 and Fate Arizona South opened in 2015. Fate Colorado could have interpreted the new location as a market expansion that violated their trademark rights. What’s Next for Fate Arizona? Even though Fate Arizona could have made a legal argument that they had the right to use the name as the “senior user,” they have opted to take the high road to rebrand rather than spend hundreds of hours and thousands of dollars on this legal fight. 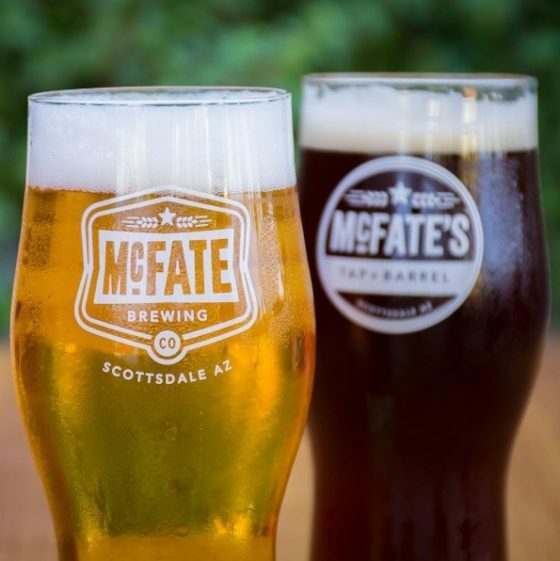 The re-branding party for McFate Brewing Company (named after the owner, Steve McFate) is scheduled for June 25, 2016 according to Fate Arizona’s Facebook page. I hope Fate Colorado wasn’t a jerk about this process. A company has an obligation to protect its intellectual property or risk losing it, but there is more than one way to pen a cease and desist letter. How Could Fate Arizona have Avoided This Problem? Yes. Fate Arizona could have beaten Fate Colorado to the USPTO and filed a trademark application before they did. They could have staked their claim to the name and gained exclusive right to use the name nationwide, shutting down Fate Colorado or forcing them to rebrand from their start. Many new businesses are more concerned about getting off the ground than federal trademark filings, especially when the business only has aspirations of being a local brand. Unfortunately, this leaves them vulnerable to being boxed in geographically, called into court, or forced to rebrand like it did here. If you have questions about your company’s trademark or how to select a trademark for your new venture, you can contact me directly or connect with me on Twitter, Facebook, YouTube, or LinkedIn. You can also get access to more exclusive content that is available only to people on my mailing list, by subscribing here. Recently I’ve had a few questions about intellectual property related to starting the clothing line or T-shirt business. These people asked me how they can protect their work. Is it trademark? Is it copyright? The answer is, it’s probably both! A trademark is anything you put on your goods or services to differentiate them from the competition. And a business can have several trademarks. They are your company name, brand names, slogans, logos, etc. Likewise, a clothing line can have several trademarks including your company’s name, the name for each collection, slogans, and your logos. The triangle patch with the question mark on it is a trademark for Guess jeans as is the alligator logo for Lacoste brand clothing. Your clothing line may also contain several copyrights. If you design T-shirts, you will have copyright rights in each design. You may also have copyright rights in your logo. You have rights in what you create the moment you create it; you don’t have to register them with the U.S. Copyright Office to obtain your rights (however, you do have to register if you want to sue for copyright infringement.) If your design is simply a short phrase on a shirt, it may not be copyrightable because short phrases are often not original enough to warrant having a copyright. Depending on what your phrase is, if you’re using it as a slogan, it could be a trademark. If you outsource the creation of the designs for your clothing or the creation of your marketing materials, make sure you have clear written contracts with these independent contractors to ensure that you own whatever you have hired them to create. Otherwise you may find yourself in a situation where the artist owns the intellectual property rights in what they created, and you merely have a license to use it. 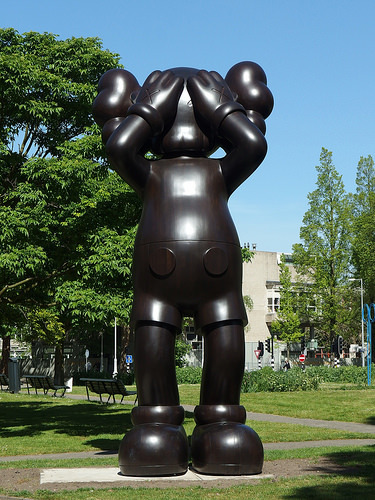 As you can see, determining what intellectual property you have may be a complicated question. It’s best to consult an intellectual property attorney to assist you in identifying your intellectual property and determine the best strategies to protect it, which may include registering your copyrights and trademarks. If you have any questions about copyrights or trademarks, feel free to shoot me an email or connect with me on Twitter, Facebook, or LinkedIn.